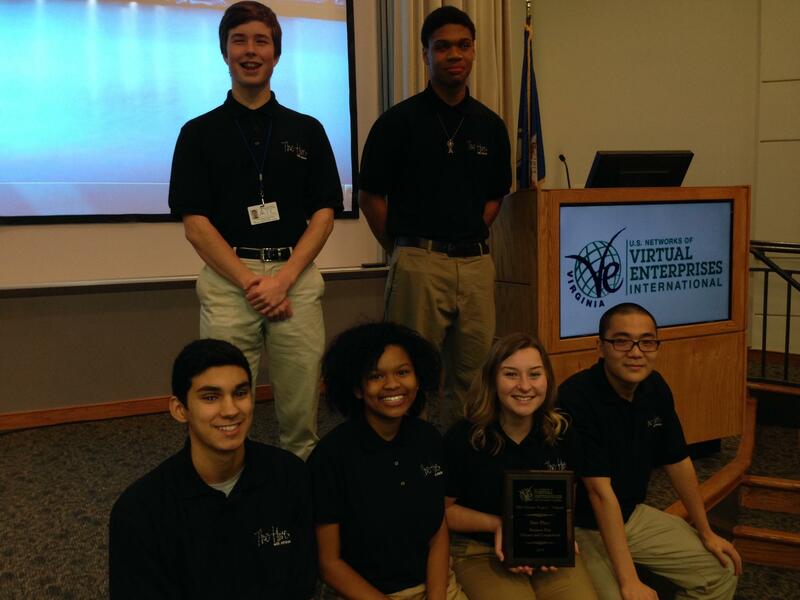 The Advanced Technology Center (ATC) web design team, Hive, placed first in the state in the Virginia Business Plan Defense at the Virtual Enterprise Competition held at the Advanced Technology Center. For winning first, students have qualified to travel to New York City for the National Virtual Enterprise Competition in April 2015. Hive team members Tristan Adams, Max McCormack, Glenaye Calvin, Steffan Watts, Hannah Peterson and Jia Lin are pictured. We are very proud of our ATC Web Design team champs. Wishing them the best as they prepare to travel to the Big Apple!